This problem has been particularly pronounced in the casual dining industry where vouchers have been compared to Class A drugs and research from Mintel (1) found a third of British diners regularly use vouchers and a huge percentage say they will only visit chains if there is an offer. It’s just too easy for marketers to turn to the ‘quick fix’ to boost sales, but the fear that customer numbers will drop the minute the discounts disappear means it’s hard to quit. What we get is a real ‘tragedy of the commons’ where competitors discount away their margins chasing price sensitive switchers. I am sure we all see evidence of this. How many of us have a wallet stuffed with a couple of ‘30% off’ coupons alongside some membership card that entitles you to ‘40% off’ and perhaps even an entitlement to ‘£10 off’ earned from supermarket loyalty points? What makes it worse is that we didn’t have to do anything to earn these discounts. Not even win a competition. They just fall out of magazines, you get handfuls of them in the restaurant and you can find them online in two seconds. We even have coupons for restaurant chains we don’t like and have no intention of ever visiting! So let’s see what retailers can learn from the mistakes made by the casual dining chains’ historic overuse of vouchers. There is a better way to use vouchers and promotions to engage with potential customers and offer them something of value that doesn’t cheapen your brand. Paraphrasing Milton Friedman’s famous recipe for dealing with deflation, casual dining chains seem to be just ‘dropping vouchers out of a helicopter’. Rather than firing blanket discounts at anyone and everyone, why not concentrate on your most valuable customers; those likely to become loyal repeat visitors? You should be getting your existing customers telling your nextcustomers about your products, your experience and, by all means, your offers. Given that your customers spend 80% of their time online on social, that’s where you should be looking to foster conversations about your offers to drive loyalty and new business. 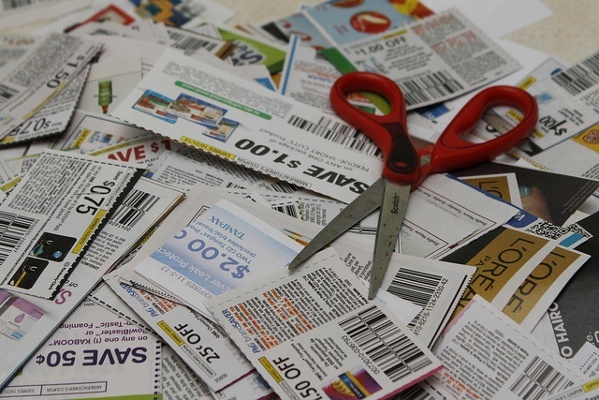 Rather than constantly repeat bland 30% off coupons, mix up your loyalty promotions. Surprise and delight your customers with different ways to get a good deal. One week it could be a deal where the price drops if enough people participate, and the next week you could get more items for the same price based on the number of joiners. Rather than simple ‘price off’ deals you could use ‘stretch and save’ promotions (e.g. spend over £50 and get 10% off), where the ‘save’ element improves if more people get on-board. By using a bit of imagination you can avoid the boredom of being ‘just another coupon deal’. A problem with free vouchers is the lack of ‘skin in the game’. That’s why you find so many discarded on the pavement. If you are offering a great deal, why not ask customers to pay something upfront? ‘Buy this £20 voucher for £15’. Your fans will know that is a great deal. But even more so if you add some dynamic element to the deal, such as where the voucher’s value increases to £25 or the price drops to £10 if enough people buy. If you are considering creating a new product line, why not challenge your fans that this will only happen if enough people buy to Kickstart the introductory offer? ‘Bake in social’ from the outset. Ditch the freebies and those dumb, fait accompli discounts which no one ever shares – and offer smart rewards instead: offers which depend on sharing, which improve as more and more people participate. By adding in gamification with competitive elements you can make the whole thing more fun. If I can prove I am one of your best customers and I get the full red-carpet-treatment in return that means you are rewarding the right people. So why not offer the customer who persuades the most friends to buy from you a once in a lifetime experience linked to your brand. It’s a simple formula: communal rewards to inspire mass sharing, personal rewards to trigger passionate evangelism. By combining co-creation, dynamic deals and gamification your promotions can become truly social. A retailer who understands this is Debenhams, which recently ran a successful gift card campaign on Buyapowa where the value increased as more people bought, encouraging participants to mobilise their friends and family. Not only did this re-engage existing and lapsed customers but it brought in entirely new buyers, almost all of whom spent considerably more than the gift card value in store or online. Along with the likes of EE, Tesco and Sony, Debenhams really understand why Smart Rewarding is better than Dumb Discounting! We would love to talk to you about how we could make your acquisition and loyalty programmes more social and more successful – all you need to do is contact us for a demo. An abridged version of this article was recently published in The Drum.